Posted in: Honesty, Mistakes, Try Again. Tagged: fibs, screwing up, self esteem. Admitting you are wrong is associated with resourcefulness. Low self-esteem makes a person less resourceful and prone to being addicted to being right. A person who is able to admit being wrong is more resourceful because he believes he has the right to develop new capabilities. Admitting you’re wrong breeds an environment of tolerance. 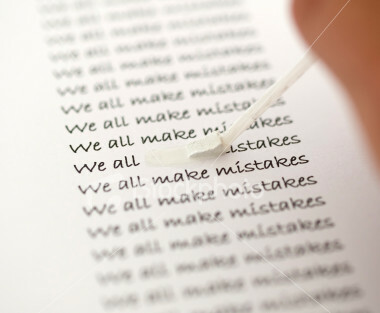 I’ve been wrong enough to know that you and others are capable of making mistakes too. We all do. Admitting to being wrong creates an environment of tolerance, not just personal tolerance, but tolerance of others. Admitting you’re wrong creates open-mindedness. By that I mean a more willing environment for your opinions to be reviewed. This is extremely important if you are in search of the truth. Open-mindedness is an essential ingredient to discovering the truth. Admitting you’re wrong will help point out where you sound stupid. This may not be a high priority on the list of things sought for by someone who is addicted to being right, but as one becomes more mature it is important to know where you sound like a fool and how to correct it. Addicted to being right sounds fairly lame to people who are interested in truth and high ideals so you may as well figure out early on in life where you sound stupid. Why wait to correct that? Lastly it is important to admit you’re wrong and then listen. Learning to listen after admitting you are wrong is a powerful way to get a fine education. You will learn much more by listening to others that by talking.